Everyone is looking for a way to diversify their wardrobe. The ideal situation would be to have a polished wardrobe with added comfort. 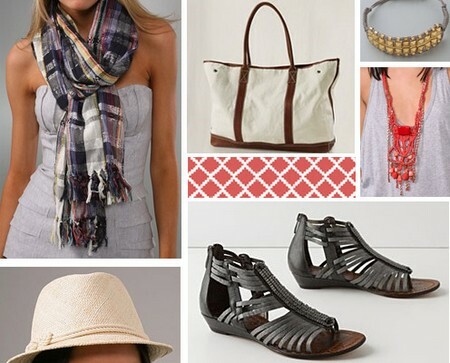 There are many ways you can accessorize your casual wardrobe. Here are a few simple steps you can use to add some personality and casual flare to your already existing wardrobe. Read on. Plan your wardrobe according to what your plans are for that particular day. For example, if you plan on going mountain climbing, find the appropriate footwear. Leave the platform styled shoes out of the wardrobe for that day and opt for something supportive. Choose a timepiece that suits your personal taste. Make sure it’s truly reflective of your personality. Whether it is plastic, chrome or wide band, sporty or chic make sure it’s you. Add a polishing touch. Consider draping a scarf or bandana around your neck. It can be vintage, silk, satin, print or plain. You can even tie your hair back with it. This will give you an added element of appearing well put together. A belt is always a great way to make your wardrobe casual. You can go with a myriad of style. You can choose solid, trendy, thin, wide or rock inspired belts to assist you in your wardrobe goals. Make sure your shoes are classic, trendy but chic. You can choose to experiment with sandals, sneakers or loafers to keep things casual but elegant. Jewelry is always a great option when making your wardrobe casual. You can have fun with different styles, Hoop earrings and pearls are staples for casual looks. You can spruce up your look with a nose ring, choker and even cute little hair clips. There is no limit to where you can go with this. If you are feeling creative you may want to even design and make your own. Find an fun and casual alternative to your purse. You may choose to use bags made of canvas or straw, or carry a backpack. Any of these bags will help you achieve a causal look while being practical. Carry some water and a great pair of sunglasses with you. You can put your great canvas bag to use. If you have very little to carry a cute knitted purse may suit your style and needs well.